On August 16th, Texas Governor Greg Abbott signed Senate Bill 11 into law, reestablishing the rights of patients regarding the execution and revocation of Do-Not-Resuscitate (DNR) orders. This bill was passed in both chambers of the Texas State Legislature with strong bipartisan support. Governor Abbott revived the DNR legislation that had died in the Regular Session earlier this year by specifically adding it to the list of measures the legislature should pass in the 30-day Special Session he called this summer. SB 11 requires that, in most cases, physicians obtain consent from a hospitalized patient or the patient’s surrogate before issuing a DNR order for the patient. Patient advocates and pro-life organizations, including Texas Right to Life, praised the bill as an important step in the ongoing effort to reclaim something greatly missing in Texas law: strong patients’ rights. It is no secret that Texas is home to some of the most dangerous anti-patient bioethics laws in the country. The debate concerning the most controversial section of the Texas Health and Safety Code, Section 166.046, still rages on in academic literature, Texas politics, and federal court. This is the unprecedented, unethical, and unconstitutional 10-day-law that authorizes physicians to remove life-sustaining care against the wishes of patients or their surrogates with unmatched immunity for doctors and hospitals and no appeals process for patients. This current Texas law gives physicians a process to follow in order to override or ignore the medical decisions of patients or their surrogates. After notifying the patient, the physician’s refusal to comply with the patient’s decision is reviewed by the hospital’s own ethics committee. If this committee agrees with the attending physician’s refusal, the patient and their surrogate are given notice and 10 days to transfer the patient to another physician or facility, after which, the law states, “the physician and health care facility are not obligated to provide life-sustaining treatment.” While legislation was filed this Session to reform the 10-day law, the political stalemate on this specific issue continued with provider advocacy groups like Texas Medical Association and Texas Hospital Association, and Texas Catholic Conference of Bishops defending the current law. However, Senate Bill 11, introduced by Senator Charles Perry (R-Lubbock) and Representative Greg Bonnen, M.D. 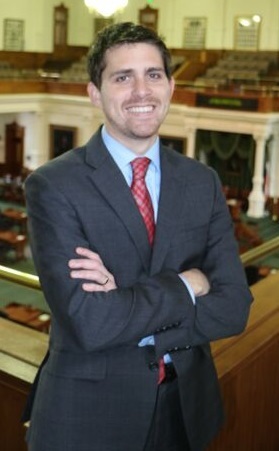 (R-Friendswood), a neurosurgeon, does mark a promising policy breakthrough in the Texas Legislature. Over the years, patient advocates and pro-life activists have been successful in raising awareness of forced or secret DNR orders. Texas Right to Life and others have witnessed first-hand situations where basic, common sense patients’ rights have been violated by Texas physicians who executed and placed DNR orders in patients’ medical files without obtaining informed consent or, in some cases, without even providing notice of the DNR order to the patients or their surrogates. How could such a blatant violation of respect for patient autonomy and medical ethics occur? Upon further study, it was discovered that Texas law lacked any statutory guidance on the issuance of DNR orders in a hospital setting. Until SB 11, Texas law only addressed “Out-Of-Hospital Do-Not-Resuscitate orders,” which are used in a patient’s own home, a nursing home, or assisted living facility. However, once a patient was admitted to a licensed health care facility or hospital, Texas law did not specifically mandate that a physician obtain the consent of a patient or the patient’s surrogate prior to placing a DNR order in the patient’s medical file. Regardless of such a glaring loophole in the law, physicians and hospitals, whether motivated by sound medical ethics or legal liability concerns, rarely dared to execute or revoke a DNR order without some type of patient or surrogate involvement. However, multiple instances of forced or secret DNR orders–resulting in patient deaths–have occurred in Texas. These were highlighted and retold in several legislative committee hearings in Austin. Reforming Texas law regarding DNR orders has been Texas Right to Life’s goal for several years since this is a tangible extension of the pro-life conviction that every humanlife is inherently valuable, and thus important life and death medical decisions ought to be made by patients themselves or their surrogates. Regrettably, the use of forced or secret DNR orders had become a tool in the hands of physicians and hospitals motivated by dangerous quality-of-life ethics that subjectively devalue patients based on their age, physical abilities, or illnesses. While troublesome medical ethics and maleficent motives will still exist in Texas, forced and secret DNR orders, fortunately, will no longer be allowable due to a legal loophole. Senate Bill 11 sends a strong message that, before a DNR order may be executed, the attending physician must get authorization from the patient, the patient’s medical advance directive, medical power of attorney, or other legal surrogate. SB 11 also sets in the law strong protection for the right of patients or surrogates to revoke unwanted or outdated DNR orders. These patient protections go into full effect in April 2018.